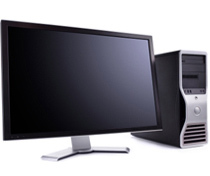 Get information about programs on your PC. Founded in 2001 as the independent research arm of iolo technologies, iolo Labs aims to understand issues in personal computer performance and stability through scientific study. The resulting body of knowledge is leveraged in a variety of ways, representing the backbone of a data stream used to evolve and improve the effectiveness of iolo technologies' commercial product line, as well as provide a foundation for published scientific papers aimed at helping the public better understand computer optimization. As personal computers started making their way into homes in the 1970s, people began to notice that their computer's performance declined over time. Soon, users began to search for ways to reverse the effects of PC age and use and regain the responsiveness they initially experienced. In the 1980s, Norton Utilities became a popular approach to combating such degradation and eventually a collection of similar tools entered the market. 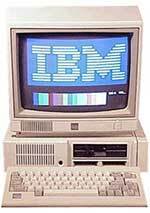 These first-generation "utilities," as they were called, were able to perform their jobs effectively because the computing industry moved at a relatively slow rate. Computers were installed with an operating system and a stable set of software applications, and that's the way they stayed for years. Early utility software could safely assume that all computers were enough alike (and would stay that way for a long enough time) that a simple one-size-fits-all approach to repair and optimization could be safely applied. At this time there was no public internet, networks were only used in large commercial and government organizations, file-sharing was accomplished through the distribution of floppy diskettes, and software products were updated by purchasing a new physical copy from a local computer store. 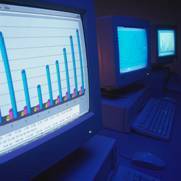 But with the propagation of the internet in the mid-90s, systems were united in a global communication network and the technology industry entered a series of rapid progressions. Computer equipment manufacturers increased their production to keep up with growing demands, software companies embraced the internet as a way to keep users updated with product fixes and new versions, and new online software libraries provided a virtually limitless array of new programs that people could experiment with from the convenience of their own home or office. This new fast-paced computing environment was constantly changing and the first-generation utility products, which assumed uniformity, were soon rendered obsolete. Further, with the explosion in the number of software products available via electronic delivery, the constant installing and uninstalling that ensued meant PC performance that had previously degraded only after a number of years was now being negatively impacted in a matter of days or weeks. In 1998, iolo technologies was founded to design software that repairs and speeds up computers. From its inception, iolo knew that the old "utility" approach would have to evolve into software that could better adapt to increasingly rapid changes in the computing landscape. Observing security software's ability to distribute on-the-fly antivirus updates in response to new threats, iolo began investigating a similar method to provide regular updates for tune-up software. Just as virus definition updates teach antivirus software how to protect against the latest security threats, by continually updating tune-up products with the latest performance, compatibility, optimization, and repair techniques, consumers could be continuously protected against threats to PC performance. To investigate the causes of and develop solutions for the problems of slowdowns, crashes, and freezes, iolo's engineers began to collect critical information about PC performance. The system health trends of millions of computers were analyzed over a two-year initial study, with an emphasis on tracking and indentifying patterns of behavior that caused negative effects on speed and stability. This comprehensive set of metrics led to the first iolo Labs knowledgebase, which was incorporated into iolo's commercially available tune-up product System Mechanic® in 2001. The addition of this live feed of cutting-edge research dramatically increased System Mechanic's ability to adapt to customers' evolving computers—new types of problems now had the latest solutions. For example, if new way to gain more system performance was discovered or a method was found to resolve a common system error, iolo could push new "Tune-up Definitions" to customers and the product would immediately contain the new optimizations and repairs. With this scientific knowledgebase, System Mechanic could now react in real-time to how various applications, settings, and services affect memory, CPU usage, system and program start-up time, registry and Windows processing—the key computer functions that impact overall PC health and performance. Now in its 10th year of operation, iolo Labs has grown from an experiment aimed at improving iolo's tune-up software to a fully independent research arm of the company. iolo Labs continues to focus on understanding the factors that cause PCs to degrade and developing effective methods to reverse this deterioration. The results of these daily research efforts build the ongoing stream of Tune-up Definitions. Today, System Mechanic is powered by nearly 20,000 independent definitions that deliver iolo Labs' body of knowledge directly to over 33 million desktops in six languages worldwide. Reports that allow people to learn about the nature of computer slowdowns, bottlenecks, and performance deterioration. Articles that help people stay updated with emerging developments and advances in system optimization and maintenance. A dedicated web site that allows the public to access published research, directly interact with iolo Labs personnel, and subscribe to blogs and information feeds that inform them of the latest tune-up tips and news.